Omni Hotels & Resorts announces the opening of its newest property, Omni Hotel at The Battery Atlanta. 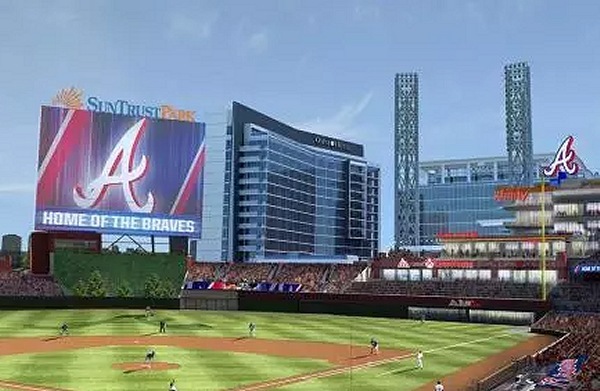 As the official hotel of the Atlanta Braves, the property is located in The Battery Atlanta, the city’s newest mixed-use development and home to SunTrust Park, the Coca-Cola Roxy music venue, shopping, dining and premier office space. The hotel debuts Achie’s, its highly anticipated partnership with James Beard Foundation Award-winning Chef Hugh Acheson. This signature restaurant offers Southern-inspired dishes with locally sourced ingredients. Guests can also enjoy 582 Waterside Lounge & Bar for classic American light bites and handcrafted cocktails. Located 582 feet away from home plate, this fifth-floor pool deck provides the most coveted views of The Battery Atlanta. The plaza level features the hotel’s Lobby Bar, which serves local coffee, cocktails and wine in a social atmosphere for guests and locals alike.